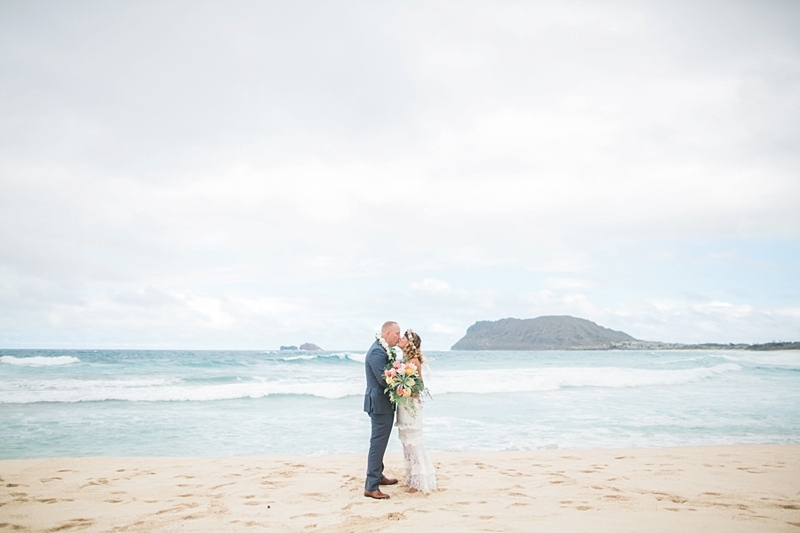 I was very fortunate to capture these two love birds on their wedding day in beautiful Kailua. 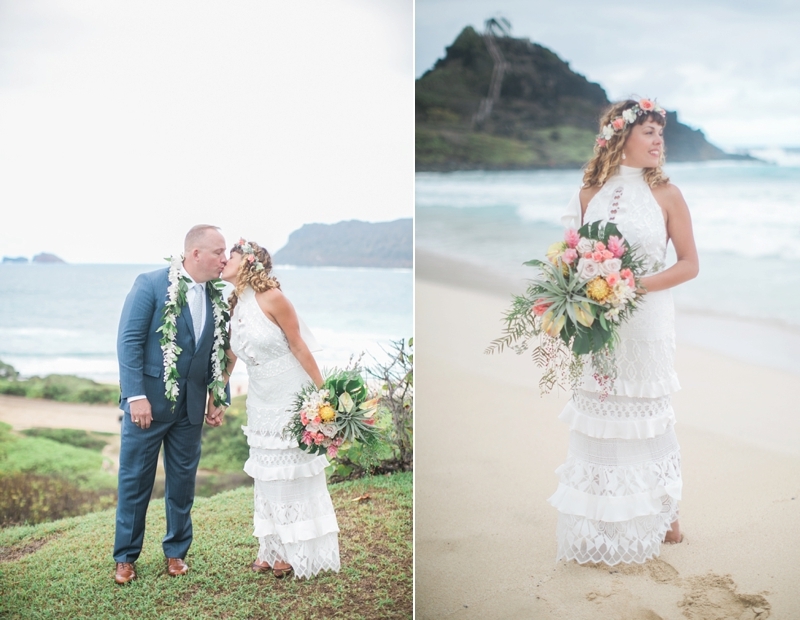 It was your typical Saturday afternoon in Hawaii and we headed to their Presidential Suite for a few wedding photos. I was really worried the sun would be too bright because it was mid-day but the clouds started to roll in and everything worked out perfectly. Since it was the fall, it was a bit windy but Gabriella was a trooper and had no complaints when the wind would push her hair towards her face. 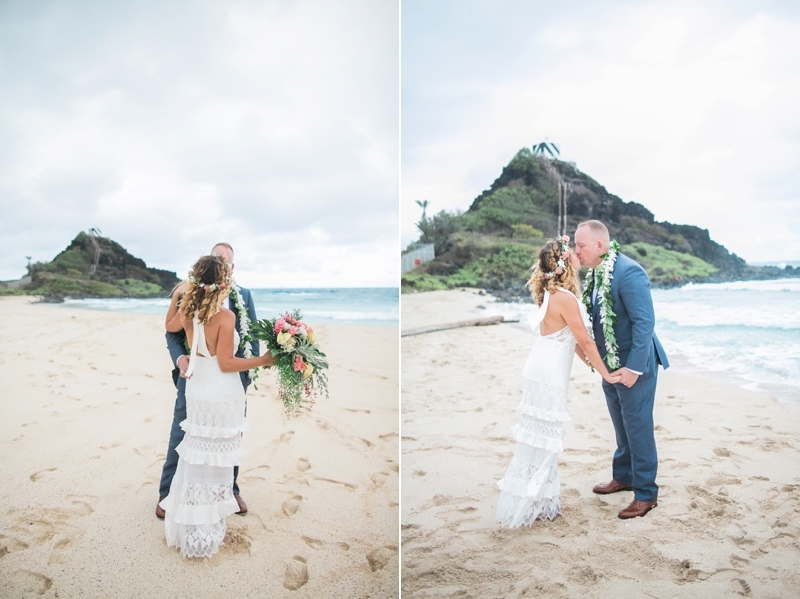 At every chance I get, I always try to shoot at this location because you need military access and these two were open to the idea of exploring this secluded beach. Their love was so easy to capture! As we said our farewells, heavy clouds started to roll in and in a matter of seconds, it started to pour. Just shows God is on love’s side! Congratulations to the both of you!